Vinnie is browsing for some books to get out of the library. 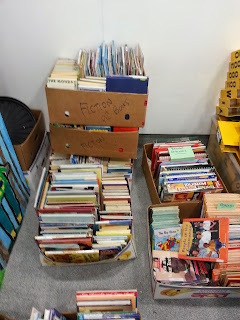 Di and Alpha have sorted through a huge pile of books that have been donated to us. 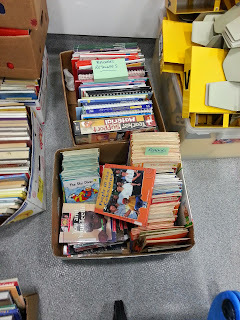 They have identified books to be kept and to add to the library and sorted them into categories. Soon they will be processed and added to our library shelves for issuing. Thanks Di and Alpha! It has been a huge job and you have been amazing! What's Happening in our Library in 2014? Our library blog has been in a bit of a hiatus for some time, but now it's time to breath a little life back into it again. So here's the first post for the year. There seems to be lots to catch you up on and a number of things to look forward to over the coming months. 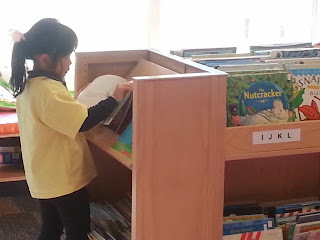 Our library is used as a learning space by many children and teachers. At any time you could come into our library and usually see workshops taking place, children doing their itime or people returning and issuing books. In fact Harakeke hub consider it an extension to their hub and it is as valuable as any other learning area. It's a living space! All our children plan when they come to the library to get new books out. They plan it into their personalised timetables You will see Koru hub children with a timer (and usually a friend) independently browsing and getting their books out using the RFID. This year Angela has taken on responsibility for the library (and often gets completely immersed in it). Elizabeth is employed six hours a week to keep the day to day running ticking over. She is a master at finding lost books, processing new books and making sure everything is returned and in the right place and in great condition. Diane and Alpha are our dedicated and reliable parent help library volunteers. They are experts on our visual search on the online browsing site. The "Access It" library computer system has had some adaptations made. You will just receive two emails now for over due books, and no email for under due books. Hopefully you won't be over flowed with emails from the library anymore. The visual search option on OPAC is now set up. OPAC is our online website that shows our school book collection. Harakeke hub have set up school librarians as part of their leadership programme. Koru hub has selected children to be library guardians. We'll introduce you to our librarians and guardians in the next blog post. Koru club has been set up again for the year. Koru hub children have been invited to have a day a week in the library at lunchtime. Harakeke students run this and read to the children while they eat their lunch. Every Monday all children rotate through a library workshop with Fiona this term. They have been learning how to use the library properly, becoming independent at returning and issuing books and have learnt how to use OPAC. Our four year olds who are pre-enrolled to start at Amesbury School have borrowing access to our library. 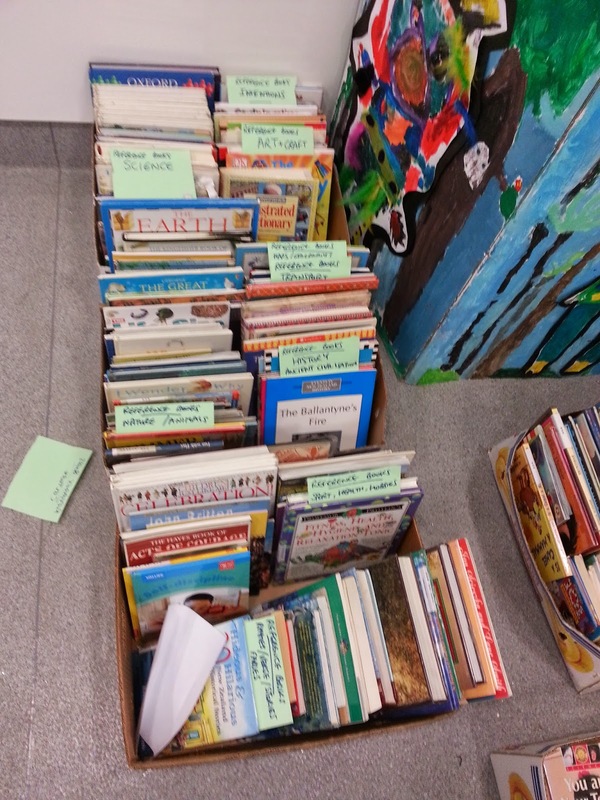 Some four year olds and their parents know how to issue and return books and are onto their 3rd library book now. Use this link to browse our library collection from home. This site is called OPAC. You can reserve books and renew from the comfort of your own home. The instructions on how to do it are on the front page. To log in click on "My Library" on the left hand side, then click on "Borrowing Detail". Your child's borrowing ID is their first name, then a full stop, then the first initial of their last name (eg. santa.c). If you have problems with your child's ID email angela@amesbury.school.nz to find out the borrowing ID details. Another bonus is that you can use visual search to use pictures to help find books you want - this is helpful for emergent readers and writers. Parent Book Exchange. We are on the search for a funky book shelf that can be put away or locked. Once we have this we can invite any adults to put a book in the shelf, and exchange it for one you would like to take home and read. 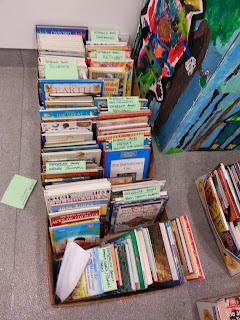 Teachers are already eyeing up their own bookshelf on what they can contribute to the book exchange shelf. ebooks are on the plan to have up and running this year. Children will be able to borrow kindles and to download ebooks using other devices. That's the plan anyway! Scholastic book fair is scheduled for Wednesday 19 - Friday 21 November. The library is open to returning and issuing 8:30am-3:30pm. When issuing books please check they are being issued under the correct name not someone else's by mistake. If possible return books through the computer system rather than putting them in the returns box. 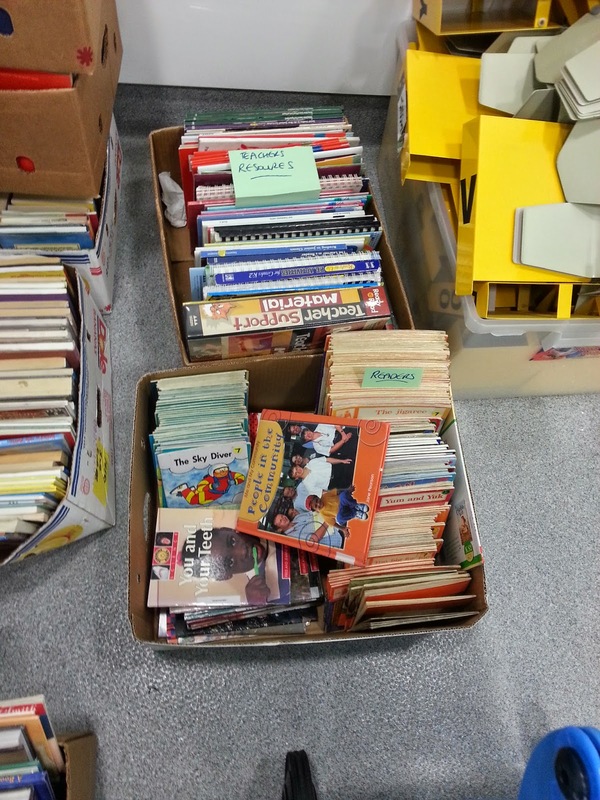 The books that are in the returns box only get processed on Friday. You may get an overdue email after the books have been put in the box but before they have been returned through the computer system. A book review by Melissini. Title:Billie B Brown the pocket money blues. Who were the main characters: Billie B Brown,Jack,Mum and Dad. This book is about a girl who really wanted a cute little bunny baby toy and she begs her mum to let her buy one. But her mum said no you need to wait until christmas. Billie really wanted one but then she had a good idea a really good idea she would save up some pocket money. The first job she did was wash the car and whenever she went to do a job she would always see her best friend Jack and he would always help her. My favourite part of the story would be when Billie and Jack collect all the money together. They were fighting about the money about how to share the money. Billie said no it is mine because I really want a bunny baby.That night Billie felt sad she did not want to be Jacks friend anymore. The next day she was going to get her bunny baby but she actually got something for Jack and it was a cricket set. He loves cricket. Title:watch me throw the ball. It was about this pig who found this elephant’s ball and the pig wanted to throw the ball as far as he could. The pig thought he could throw the ball all around the world but he couldn't. Then the elephant tried to throw the ball all around the world. He couldn't do it either. When the pig says “who rocks the pig rocks!” “THE PIG IS THROWING.... fling.... plop”. Super pig is really neat super pig cannot be beat! This story is about a pig who goes for a ride in a car and the pig starts to drive but a police car was chasing the pig. The characters are Mr. Watson, Mrs.Watson, Mercy the pig, Eugenia and baby. My favourite part was when the pig started to drive and when the pig went flying. This Friday will be the last chance you can put an order in for the Term 2 brochures. Please make cheques payable to Scholastic New Zealand (not Amesbury School) or complete the credit card form. Completed order forms and payment should be placed in the box in the library beside the touchscreen. See Amaria in the library if you have any questions. The Term 2 set of Scholastic Book club brochures have been sent home today. This order will close on Friday 31 May. Please make cheques payable to Scholastic New Zealand(NOT Amesbury School) or complete the credit card form. No cash payments please.